That slight chill in the air has you thinking about it. Everyone is talking about it. It’s coming, and you can’t avoid it – unless you move. It’s going to snow in Nebraska. Your life won’t stop, though, so you’ll be out driving in snow, slush, and maybe even ice. One way to make life safer is to invest in a set of snow tires. Most cars have what are called “all-season” tires. That term, and that type of tire, are less than 40 years old. Prior to the late 1970s, drivers in snowy climates swapped out their tires twice a year. What makes a snow tire (also called a winter tire) special are the digging tread and softer rubber, which make them cling to the ice better than all-season tires. When the tires stick to the surface better, you can stop safely and get around easily. Buy four: If you have a front-wheel-drive car, you still need to put snow tires on the back two. Even though they’re not your “drive tires” they can slip when you break if they don’t have traction and cause you to lose control. Switch them out: It’s great to put snow tires on around Thanksgiving, but remember to go back to all-season tires in the spring. 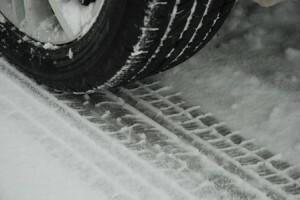 The soft rubber of winter tires breaks down quickly in warmer weather. Store them safely: Whichever set of tires you’re not using should be stored in a cool, dry place where the temperature does not fluctuate much. They should also be stored in black plastic bags to keep the rubber from oxidizing. Remember, when you invest in snow tires, you’re splitting the wear and tear over two sets of tires, along with driving safely in the winter.